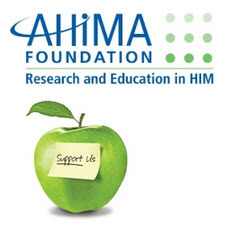 The AHIMA Foundation scholarship application opened online February 1. Deadline for submission is April 30. Access the application via this link. These scholarships are in addition to those offered through CSAs. They are merit based, and all students with a GPA of 3.0 or higher are encouraged to apply. All CSAs are cordially invited to share fundraising successes via the new CSA Corner on the AHIMA Foundation Website. We’re in your corner! Also, make more scholarship awards possible, assisting more students — click here for the online gift form.